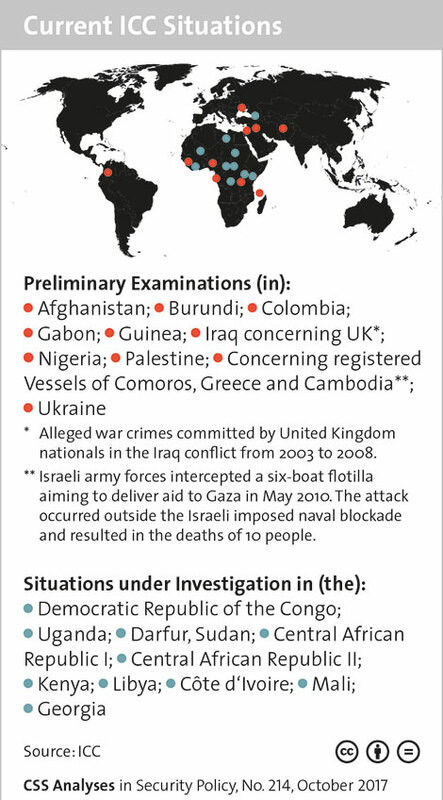 This graphic provides a brief overview of the various situations currently under investigation by the International Criminal Court. For a more in depth look at the ICC and its efforts to prosecute human rights violations, see Céline Barmet’s recent CSS Analyses in Security Policy paper here. For more graphics on international organizations, check out the CSS’ collection of graphs and charts on the subject here.